ARCOMPANY | Social Justice: MiiR has big goals to do A LOT of good. Social Justice: MiiR has big goals to do A LOT of good. Home / Social Justice / Social Justice: MiiR has big goals to do A LOT of good. 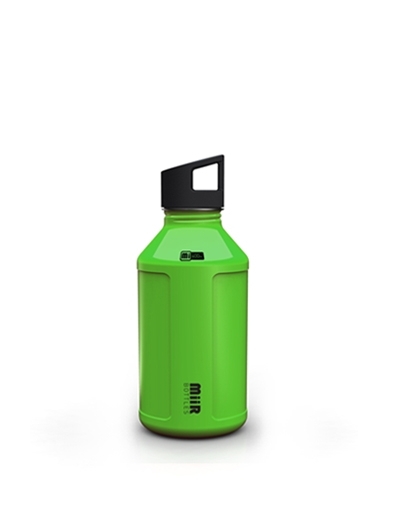 If you’re into cycling or outdoor activities, you may have heard of MiiR , a company that began by making very cool, gorgeously designed water bottles. The bottles are stainless steel, BPA free, and allow you a choice of standard or wing-nut tops that open in one turn, instead of the frustrating 3 – 5 turns on most bottles. Their water bottles boast a smaller drinking hole that makes them easier during use, incredible colors, ‘skins’ that come in cool designs and if you order 50 or more you can customize them. Miir also has a collection of apparel, and more recently introduced 3 Bicycles ranging from $699 – $899. But there’s a whole lot more to the MiiR story than great design and utilitarian chic objects. Founder Bryan Pape’ started the company in 2010 after he’d read a study that outlined the 3 biggest issues with existing water bottles: The drinking openings were too small or too big, they took too many turns to open or close, and many didn’t fit in cup holders. Pape set out to design a better bottle, and while in the process saw an ad for Charity Water that explained that $20 could provide clean drinking water for one person for 20 years. Pape was inspired to do something to help the 1 billion people worldwide who don’t have access to clean drinking water. Now Miir had a product goal, and a mission for social good. Every bottle comes with an individual tracking bracelet, and you go online and register that bracelet after you buy the bottle. Then, in six to 12 months, Miir will send you an email with a locator that shows the well project that the money from your bottle has gone to fund. There’s a map and pictures of the well. We’re all about transparency and showing people what we’re doing. After digging for a bit, I found the information on how to track your purchase here on Miir.com. In an article about Bryan Pape written by his alma mater, Seattle Pacific University, I found the story of Pape’s introduction to the Well Done Organization and its founder Daryl Finley. That meeting led to a January 2011 trip to Liberia where Pape witnessed people without access to clean drinking water being forced to rely instead on copper colored, contaminated water to continue their meager lives. That motivated Pape to get involved in a bigger way, and it led to the construction of the first 2 wells built in Liberia and funded by MiiR. If you have a spare 30 minutes, you’ll want to check out the documentary Beyond the Bottle: MiiR’s blog also tells the story of the company’s involvement with liveGlocal, and their Climb for Clean Water – the MiiR team climbed Mt Rainier and raised $14,411, $1 for every foot to the summit. 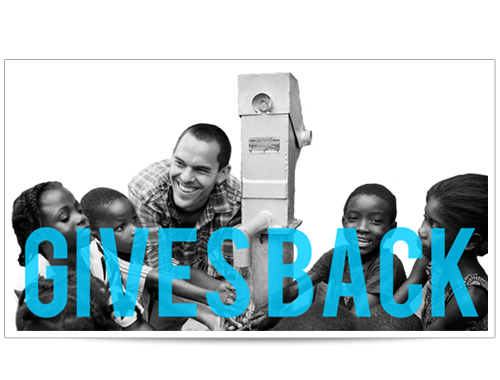 For every bicycle purchased, one is given to someone in need in Africa or the US. The stories I’ve read about Bryan Pape having an endless stream of entrepreneurial ideas is certainly true; MiiR has crowd sourced their new 64oz Growler as “The world’s first insulated, thread-less growler that gives back!” Apparently the craft brewery world has had an ongoing issue with growlers that leak carbonation, and the coffee world had complaints about lackluster insulation. Pape tackled those issues and found a new source for charitable revenue. Enthusiasts can buy in to fund the product for as low as $9.99 with the purchase of a stainless cup, buy the Growlers at an early discounted price (that has now sold out), or buy lager packages. The MiiR Growler has surpassed its crowd funding goal of $30,000 and is currently totaling just over $49K in revenue raised. MiiR’s Facebook Page boasts over 25,000 followers, with Twitter showing a much smaller following at under 1300. They do have a Pinterest presence, but many of the pins coming from a robust flickr presence, as well as Instagram. MiiR does have a YouTube presence with some great videos, but again you have to go digging for it because it’s not linked on their home page. Although MiiR’s Facebook following is large and nothing to sneeze at, it is not as engaged as it could be. MiiR or Brian Pape himself does respond or Like every post by others, and a whole lotta likes on the company’s own post, there is so much more that could be done to get deeper conversations going and shared more. The company is just so likable it makes us at ArCompany chomp at the bit over what more could be done. As with many start ups, this probably indicates a lack of staffing, expertise, or simply time to get all of the social media platforms integrated, coordinated and proactive. As this post illustrates, MiiR is trying to do a lot of good, but their website could use a little help telling the story more clearly. The company does not appear to have received a lot of mainstream press; a Google search will bring you to a few short articles about the company, but this entire post writing process has made it clear to me that there is so much more MiiR can accomplish by getting all of their varied and admirable social good goals told in a comprehensive and fluid social story. With that being said, writing about a company like this on a Sunday morning certainly restores my faith in humanity and inspires me with what is possible when smart people with good intentions have a goal to change the world.